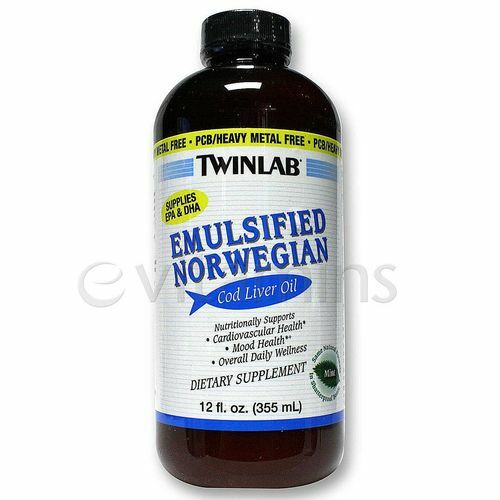 Twinlabs Emulsified Norwegian Cod Liver Oil is a rich and most economical source of the biologically active Omega-3 class fatty acids EPA (Eicosapentaenoic Acid) and DHA (Docosahexaenoic Acid). Twinlab's Emulsified Norwegian Cod Liver Oil is the first natural, emulsified,water-dispersed cod liver oil ever produced. This revolutionary product was developed for people who have difficulty digesting oil and for those who could never tolerate the taste of cod live oil. 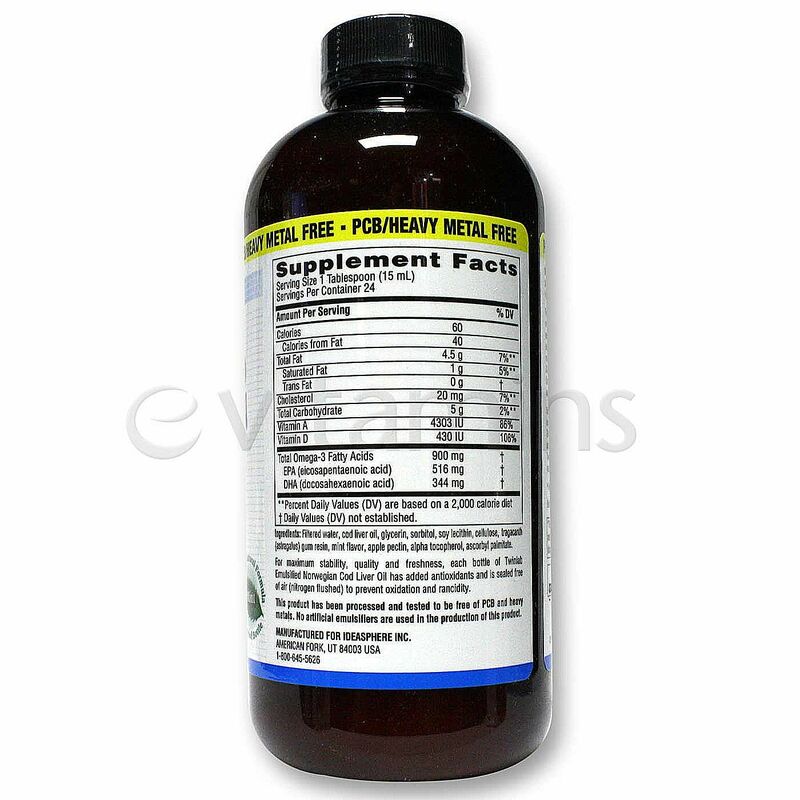 This is the most easily digested and finest tasting cod liver oil available. No chemical emulsifiers (tween, polysorbates) are used in its production. Only a pure special blend of natural lecithin and apple pectin is used to help mechanically (not chemically) reduce and disperse(emulsify) the natural oil globules of the cod liver oil into millions of tiny droplets making the vitamins A & D, essential fatty acids, and natural occurring nutrients in the cod liver oil are readily available to the digestive system. Dale Alexander,the internationally known authority on cod liver oil, has been lecturing about the nutritive benefits of cod liver oil for over 30 years. He has authored many highly acclaimed books on health and nutrition. "This product is the finest natural cod liver oil available,meeting the rigid standards specified by Norwegian law regarding its control and quality. This oil is unfortified, non destearinated (contains entire oil),unconcentrated and neither bleached nor deodorized." Notes: For maximum stability, quality and freshness, each bottle of Twinlab's Emulsified Norwegian Cod Liver Oil is fortified with OxyGuard® (a synergistic antioxidant mixture), and sealed free of air (nitrogen flushed) to prevent oxidation and racidity. 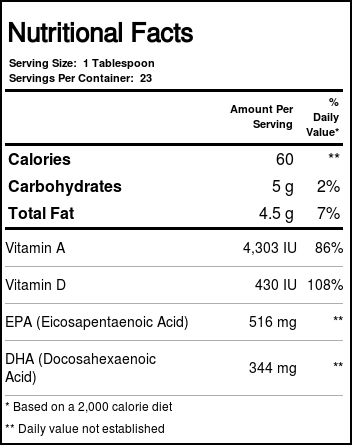 Recommended Use: As a dietary supplement, take one tablespoonful daily or as directed. Shake well before using.